Certified Organic Beauty Balm from Banyan Botanicals contains organic ingredients, oils and ayurvedic herbs to promote firm and healthy breasts. It can also be used like a skin cream, eye cream, hand cream, lip balm, and general moisturizer for everything from elbows and knees to cuticles. This formula is designed for daily use and long term health. Regular breast massage is an important and recommended for long term health benefits. Using Breast Balm may help stimulate the lymphatic system and improve circulation. This balm is a great way to nourish the breast tissue and facilitate the removal of toxins. The base of ghee, coconut and olive oils hydrate the skin keeping it moisturized and supple. Ayurvedic rejuvenating herbs like shatavari and ashwagandha tone and firm the tissues while providing phytonutrients. 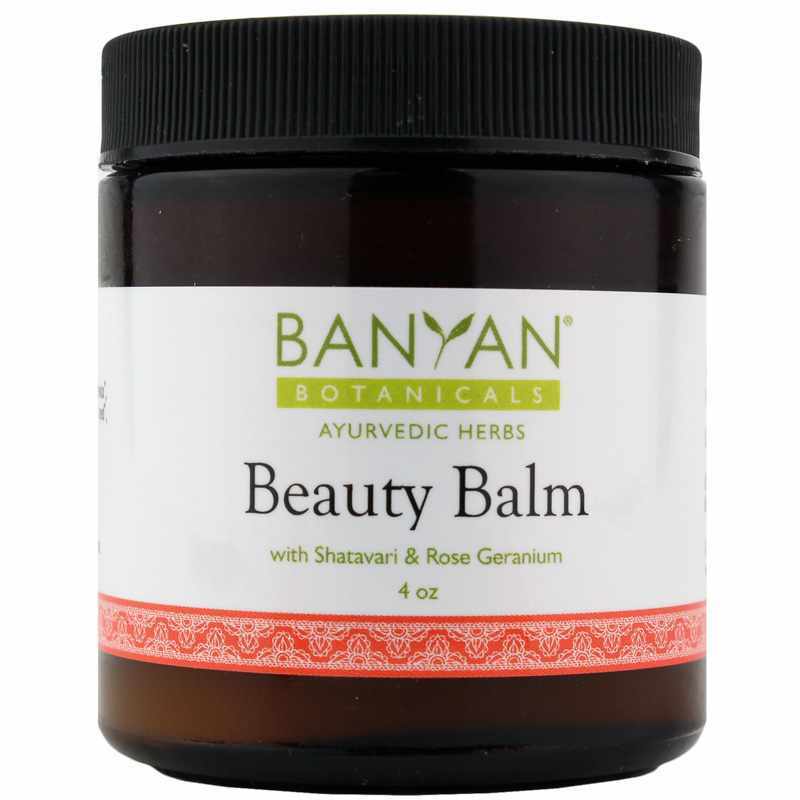 Promote healthy breasts and skin with organic Beauty Balm from Banyan Botanicals. This is great! This balm is perfect! You only need a small amount, and the smell is nice. Moisturizes and firms, it does what it says. Try it.